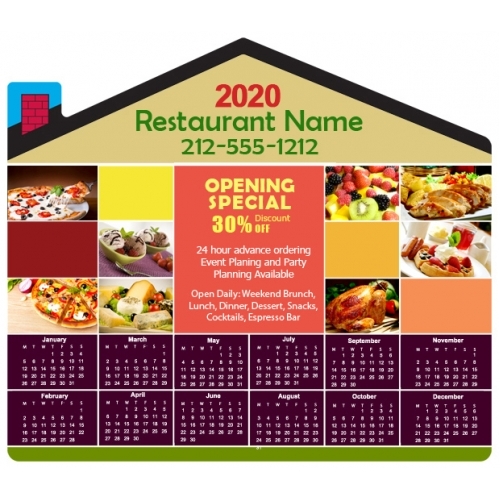 Promotional 4x3.5 house shaped restaurant calendar magnets are largely ordered by restaurant advertisers because they are confident about its success rate. First it attracts any viewer with its house shaped top, it triggers their interest with its uniqueness, skyrockets their conviction by remaining before their eyes at all time, triggers their desire to order whenever hunger pangs bother them and demands their immediate action. A custom 4x3.5 custom house shaped restaurant calendar magnet helps everyone to manage their schedules in a better way and serves them when hunger starts overpowering their senses. 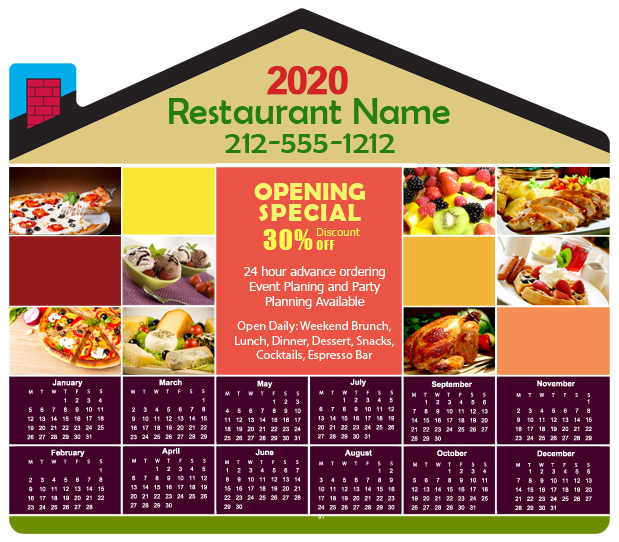 A personalized 4x 3.5 custom house shaped restaurant calendar magnet can be handed out to customers after their dining, mailed away with communication and included in mailings.